At sixteen, Grace Caton boards her first airplane, leaving behind the tropical papaya and guava trees of her small village in Trinidad for another island, this one with tall buildings, graceful parks, and all the books she can read. At least that’s what Grace imagines. But from the moment she touches down, nothing goes as planned. The aunt who had promised to watch over her disappears, and Grace finds herself on her own. Grace stumbles into the colorful world of Crown Heights, Brooklyn, having been taken in hand, sort of, by a fellow islander, Sylvia. Here, she’s surrounded by other immigrants also finding their way in America. From her Orthodox Jewish landlord, Jacob, to her wannabe Jamaican friend, Kathy, who feels that every outfit can be improved with a Bedazzler and a low-cut top, there’s much to learn about her new city. I thought the premise sounded like an interesting read, and I looked forward to following the lead character, 16 year old Grace, overcome the odds that were stacked against her. 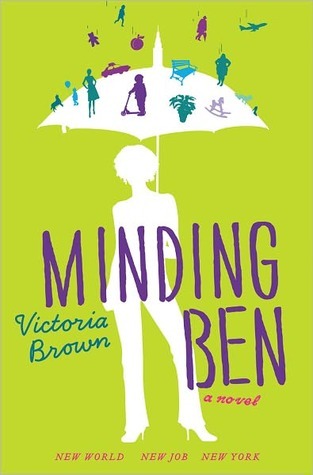 What I found in Victoria Brown's first novel was a story of self inflicted slavery. Minding Ben had great promise, sadly, I found many of the characters, from her over the top employers, the Bruckners, to the over the top gay friend, just too stereotypical to be taken seriously. I struggled with the first half of this book and almost gave up on it. I'm glad that I didn't because seeing Grace triumph at the end was the reward. This e-galley was provided to me by the publisher at my request and in no way affected my review.